How to store jewelry for a lifetime. Home » deBebians Fine Jewelry Blog » How to store jewelry for a lifetime. Learning how to store jewelry as well as maintain and secure it is very important in the longevity of your precious possessions. The majority of people who wear jewelry do not necessarily have a reliable system for storing their valuables. Since jewelry is worn almost every day, many people leave their jewelry out and readily available, or do not take their jewelry off at all. Sleeping with jewelry and/or leaving jewelry unattended leads to broken or lost jewelry over time. Below are a few tips to make sure your jewelry stays safe throughout the years! Purchasing a jewelry box and/or tray is great way to get in the habit of always placing your everyday jewelry back in the same spot. Every day I put my diamond stud earrings and diamond station necklaces on that tray before I go to bed. I use this tray as a steady safe place to drop my jewelry so that it can’t roll or fall anywhere. I do not sleep with jewelry because this can add wear and tear over time. For example, earrings can becomes loose and fall out while asleep. Waking up with an earring that has no backing makes it vulnerable to falling out without any awareness. Although it may seem like an expensive and mundane purchase, having a safe in your residence is the safest way to store your valuables. All my jewelry that I do not wear on a daily basis sits in the safe at all times. Keeping everything in a safe helps protect you in an unexpected event of having strangers in your home. I always feel so relieved when I leave my home knowing that all my most valuable items are in one place that is locked and secure. Having all your jewelry in one secure location is great, but taking the time to inventory your jewelry is also extremely important. Every piece of jewelry should be individually bagged or boxed so nothing is rubbing against each other. I keep a list in the safe with descriptions and or photographs of all my pieces. The benefit of inventorying your jewelry is in the event of an emergency; anyone can find your important jewelry and know if something is missing or not. When traveling, I always recommend leaving your expensive jewelry at home. It is very easy to misplace things when you are not in your regular routine. If you insist on traveling with your jewels, wearing your jewelry while traveling is safer than packing it in your suitcase! Once your luggage leaves your hand it can be subject to inspection and/or lost while in transit. 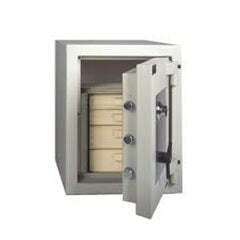 Further, if you plan to take your jewelry on vacation, you should definitely use the safe provided in the rooms. Hiding jewelry in your suitcase is not protecting your jewelry at all! The most important skill to learn when acquiring expensive jewelry is establishing a routine of keeping it safe. As a gemologist and avid jewelry enthusiast, there is nothing worse than realizing you lost a piece of jewelry. Always inspect your jewelry from time to time to make sure that everything looks secure. Developing a relationship with a jeweler who can provide annual cleaning and maintenance is a great way to preserve your jewelry for a lifetime.